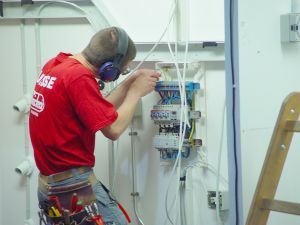 Safety should be of the upmost importance in your home or business premises so we recommend that all our new and previous customers should get their equipment and electrical installations serviced and maintained regularly as this is vital, ensuring no problems will ever arise. We provide a 24-hour call-out facility with all service contracts, offering advice and a repair service when needed. We can provide many different aspects of maintenance for all of your electrical systems and installations on a regular or ongoing basis giving you peace of mind that this type of maintenance is preventative and effective. If you live or have business premises in Basildon, Billericay, Stanford-le-Hope, Corringham or anywhere else in Essex then we can be with you within the day. Our skilled engineers can undertake planned maintenance at a time that is convenient to you. In the event of any faults being found while the maintenance work is being carried out, we will fix it with minimal disruption to you, your family or if it is in a commercial property, then to your co-workers too. If you need any electrical repairs or maintenance carried out, then please contact Reactive Electrical today for more information.